Mowing a lawn is one of those skills that many people imagine is too easy to require instructions. It is also a skill for which most people could really use some good information. Here are some best-practice tips for mowing your lawn safely and with good results. Whether you are buying a mower or borrowing equipment, choose a mower that is right for the job. 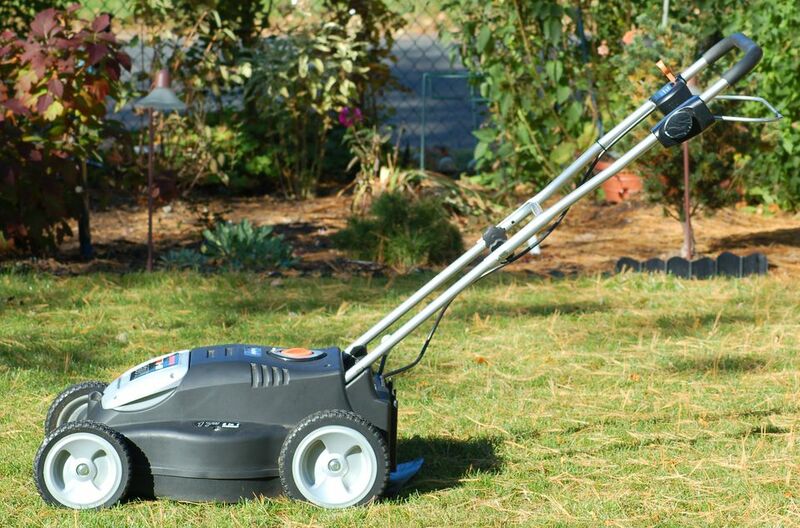 If the lawn is less than 500 square feet, consider a reel lawnmower. This still-relevant relic is less noisy than gas mowers and simpler to use than electric mowers with cords that can be a nuisance. For larger lawns, a power mower is faster, and its grass-catcher and mulching options will save time on clean up. Do not bother with a riding mower unless you have at least an acre of lawn to care for. A battery-powered mower is a great option on every level. These mowers burn no gasoline and use no oil, so they are environmentally friendly. And most models are considerably quieter than mowers with gasoline engines. Because they have no power cords, battery-powered mowers are quickly taking over the electric market, and many manufacturers now offer very dependable models. Before you begin mowing, look for obstructions in the mower's blade area, particularly if the mower was just purchased. Add a little oil to the moving parts if they feel tight. If the mower is more than a year old, the blades may need to be sharpened, or your lawn will look ragged after you have mowed it. A little known fact is that new mowers have blades that aren't particularly sharp. A new mower will perform much better if the blade is sharpened before its first use. Some people are afraid of the idea of a razor-sharp mower blade, but in fact a sharp blade cuts more efficiently and therefore is actually safer than a dull blade. It is easy enough to learn how to sharpen mower blades, but if you are unsure, your local hardware store may offer this service or be able to recommend a commercial sharpening service. A general lawnmower tune-up each spring is a good idea, especially for gasoline-powered mowers. Generally, warm-season grasses, such as zoysia, should be cut to a height of 1/2 inch to 1 inch, or 2 inches at most. Cool-season grasses, such as bluegrass and fescue, thrive at a height of about 3 inches or even 3 1/2 inches. Cutting height can usually be adjusted by raising or lowering a mower's wheels. Look on the side of your lawn mower to find latches or switches that allow you to adjust the height of the wheels. Modern mowers may have spring-loaded adjustment feature that allows a single lever to adjust the height of all four wheels. For safety, clear objects and mark obstacles before you begin lawn mowing. Use a rake to pick up branches, loose stones, dog bones, small toys, bottles, cans, or other such objects. Any object lying on the ground can be propelled at great speed out of the mower's discharge chute, reaching speeds as high as 200 miles-per-hour. If there are low-lying objects that cannot be moved, such as pipes, mark their locations so you don't run into them accidentally. For the best possible lawn, mow early (in the morning, after dew has dried on grass) and as often as your grass requires. If you are looking for a schedule, owners of healthy (that is, vigorously growing) grass should expect to mow at least once a week on average (every two weeks will do, though, if you are busy). In very wet, warm weather you may need to mow more often than weekly. It is really better, however, to be guided by grass height than by a set schedule. From the perspective of a healthy lawn, it is best to mow often. Like other perennial plants, grasses stay healthy when no more than a third of new growth is removed at any given time. So mow frequently in order to trim the grass blades by no more than one-third of their length. Proper mowing involves a back and forth pattern—not mowing around in a spiral. Move at a brisk walking pace; if you go too slowly, grass will catch and clog the blades. Consider lawn mowing to be sort of a workout. Use a similar back-and-forth pattern if you are using a riding mower, proceeding in neat, even rows. To mow around a flower bed or tree, do two laps around the obstacle, first in one direction, then the other. You will get best results if you mow in half-lap passes—with the new pass overlapping the previous pass by half the mower width. While this may seem like more work, it takes less time and energy, because the lawn-mowing movement is smoother (less grass to cut in each pass). It also ensure that you cut anything missed on the first pass—you won't have to go back later to trim up any rough or shaggy patches. Change up this pattern with each mowing session. If you mow in exactly the same pattern each time, the mower wheels may eventually form small ruts in your lawn. Changing the pattern also keeps the mower blades from beating the grass in the same direction each time. Your grass will stand up straighter if you alternate the mowing direction. When you are finished, use a lawn rake to gather grass clippings. The one exception to this is if you are using a mulching mower, in which case you should let the clippings work their way down through the grass and eventually act like a fertilizer. Studies have shown that over the course of a summer growing season, allowing mulched grass clippings to break down in the lawn is the equivalent of a full application of granular fertilizer. However, mulching mowers are designed so that grass clippings are chopped several times as their whirl about under the mower deck. If the grass clippings are simply being ejected out the chute, make sure to rake up the clippings after you mow. After each mowing, clean the mower blades with water and squirt a little oil on the moving parts to prevent rust. Installing a mower strip around the perimeter of the lawn makes lawn mowing go much more smoothly. Never allow children to play nearby when you are lawn mowing: something might fly out of the discharge chute and cause injury. Nor should you take kids "along for the ride" on a riding mower. When lawn mowing a sloping area prevent accidents by always mowing across the slope, not up and down. The exception to this is when you are using a riding lawnmower—riding mowers are safer when operated up and down on slopes. Lawn mowing should be done when the grass is dry. Wet grass can cause you to slip, and soggy clippings will clump and clog your mower. Cutting damp grass also leaves it vulnerable to fungal diseases. If grass clogs the blades or discharge chute of a power mower and the engine starts to sputter, turn off the engine and make sure the blades have stopped rotating before carefully raising the mower to remove the debris.